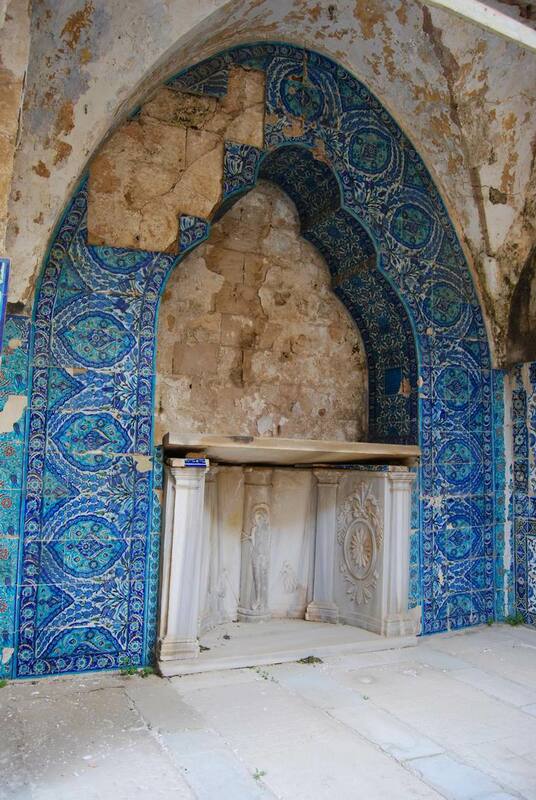 On Mount Zion there is an Armenian Church , convent and cemetery dating to 14th century. According to the Armenians, this was the house of Caiaphas, where Jesus was arrested before being trialed. John 18: 24: “Now Annas had sent him bound unto Caiaphas the high priest”. 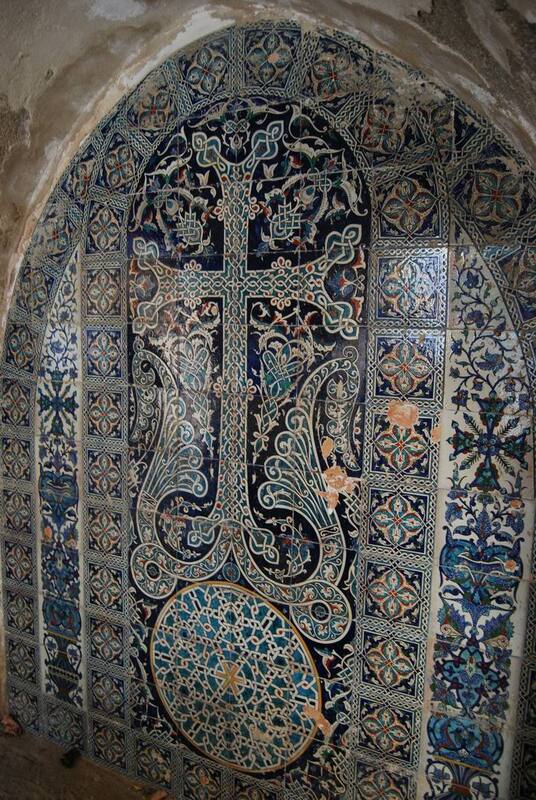 Armenian Blue Ceramic Cross-stone decorations – St. Saviour (14th c. Armenian Church) of Mount Zion in Jerusalem. 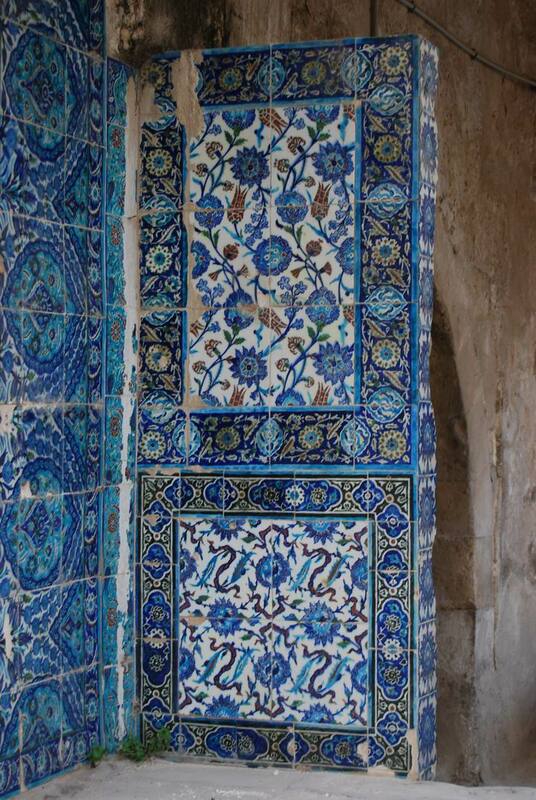 The court yard altar decorated with blue Armenian ceramics. – St. Saviour (14th c. Armenian Church) of Mount Zion in Jerusalem. 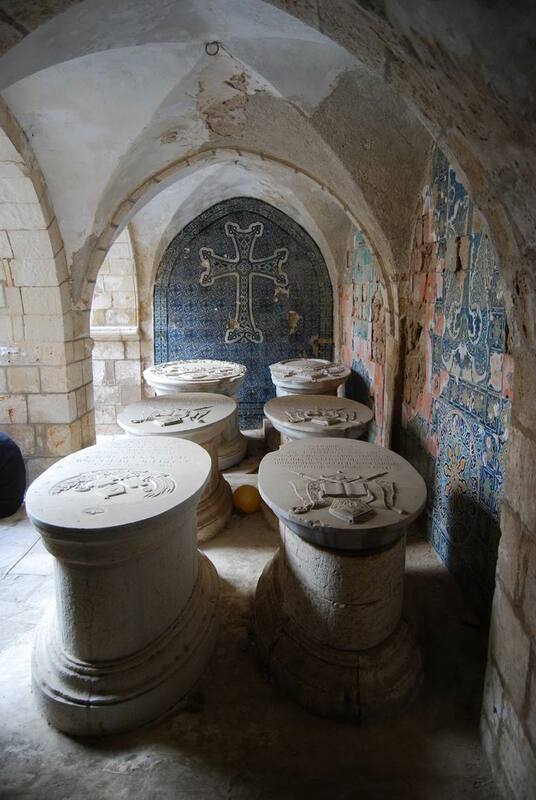 Grand tombs of the Armenian Patriarchs, the leaders of the Armenian church of Jerusalem. Decorated with an Armenian cross. Previous Article Marble Statue from Artaxata (Artashat) ca. 150 BC. I had read about this before. But I had never seen the photos. Incredible! 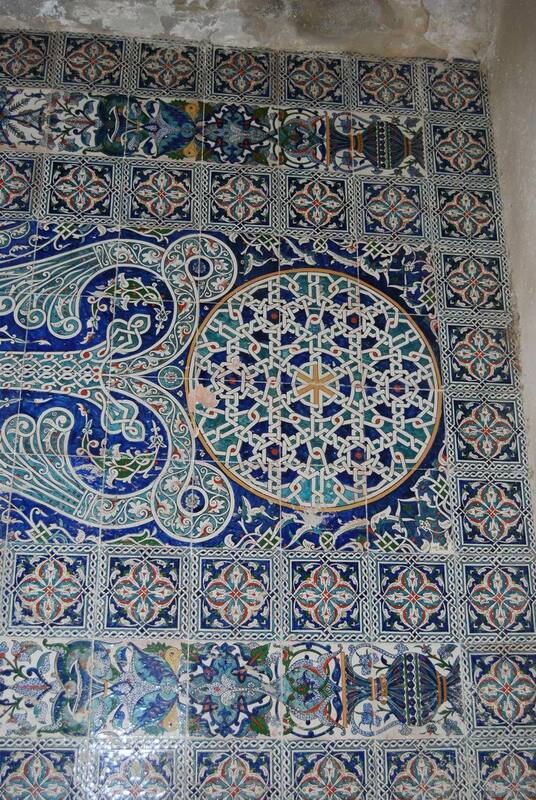 Is this in Jerusalem’s Armenian quarter? Actually I believe it’s outside of the Armenian quarter. I’f I’m not mistaken that is :p. But yes I it’s fine work in the style of Armenian cross-stones. I never seen it on blue ceramics either.